Fall Commencement ceremonies are Thursday-Saturday, Dec. 14-16, at College Park Center. 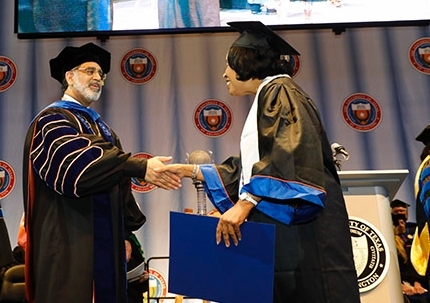 For the complete Commencement schedule and detailed information about tickets, attire, parking, formalities, photography, special accommodations, and more, go to uta.edu/commencement. Candidates for dean of the College of Architecture, Planning, and Public Affairs will each have an open session with the University community—faculty, staff, and students. The first candidate for dean of the College of Architecture, Planning, and Public Affairs appeared at an open forum Monday. The remaining four candidates will each have a session with the university community as follows: 1 p.m. today, Tuesday, Dec. 12, Rady Room 601, Nedderman Hall; 10:30 a.m. Wednesday, Dec. 13, Room 204, CAPPA building; 1 p.m. Thursday, Dec. 14, Room 401, CAPPA building; and 1 p.m. Monday, Dec. 18, Room 401, CAPPA building. Each candidate will speak and then answer questions. Visit the Senior Leadership Searches webpage to learn more about the dean search for the College of Architecture, Planning, and Public Affairs and feedback surveys. 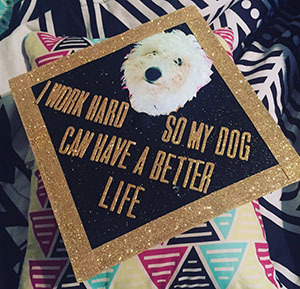 See how the traditional mortar board can transform into a message medium and fashion statement in the #MavGrad2017 Fall Cap Design Competition. Graduating students decorated their Commencement headgear with the hopes of winning a custom UTA prize package.Submit your MavGrad cap photos by 11:59 p.m. Wednesday, Dec. 13. See the entries and vote by liking your favorite between 10 a.m. Thursday, Dec. 14, and 5 p.m. Saturday, Dec. 16. Only likes on photos in the album will be counted, not on shares or reposts. All Facebook reactions will count as votes. Give your brain cells a boost at Late Night Breakfast at the Connection Cafe, UTA's tradition for studying late for finals. Breakfast is $3 and served 9:30-11 p.m. today, Tuesday, Dec. 12. 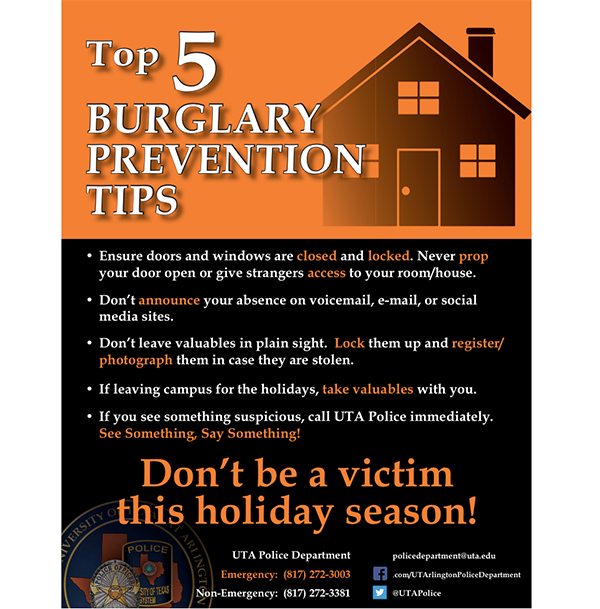 UTA will be closed Monday, Dec. 25-Tuesday, Jan. 2. Winter intersession classes are on break Friday, Dec. 22-Tuesday, Jan. 2. Other Winter Break hours are online for Dining Services, the E.H. Hereford University Center, Health Services, the Maverick Activities Center, the UTA Bookstore, UTA Libraries, and the Planetarium at UTA. Spring parking permits are available through your MAVPark account. If you need a permit for summer, select the prorated annual permit. Evening only and upgrade permits are available in limited amounts.